Intricately sculpted wire spirals around a clear glass mezuzah tube, accented simply with a silvery aura quartz point and earthy antique glass beads. 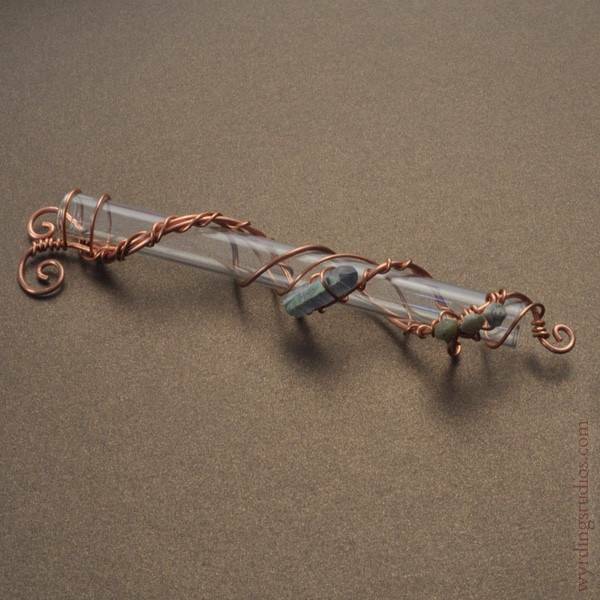 Intricately sculpted wire spirals around a clear glass mezuzah tube, accented simply with a silvery aura quartz point and earthy antique glass beads. Hang it in your doorframe using small nails into the center of the spirals at either end.